Day 21 of my 30 day blogging challenge and I'm having inspiration troubles for the first time. I have no idea what to write about. It's Wednesday so I don't have a theme already picked out, like my Friday and Saturday posts. I have a series started and a few other posts to fill in the series, but I don't have the focus today to write an informational blog post. So I'm going to go through my photos and see if some thing stands out to me. Hold on, I'll be right back. You should be taking photos of every and any moment in your day. You never know what will be exactly the photo you need. The internet is become a far more visual medium, and with the addition of mobile, you need to be able to tell a captivating story in one image. I've certainly used some stock images for blog posts or social media posts, but it's always better if you can use your own. You are the storyteller, and even just a photo of a coffee mug on a table when taken by you instead of someone else tells people something about your personality. I had no plan to use this acronym, FOCUS, as part of a photo. It's one I've heard many times, a favourite of podcaster John Lee Dumas, and one I wish I could live more often. 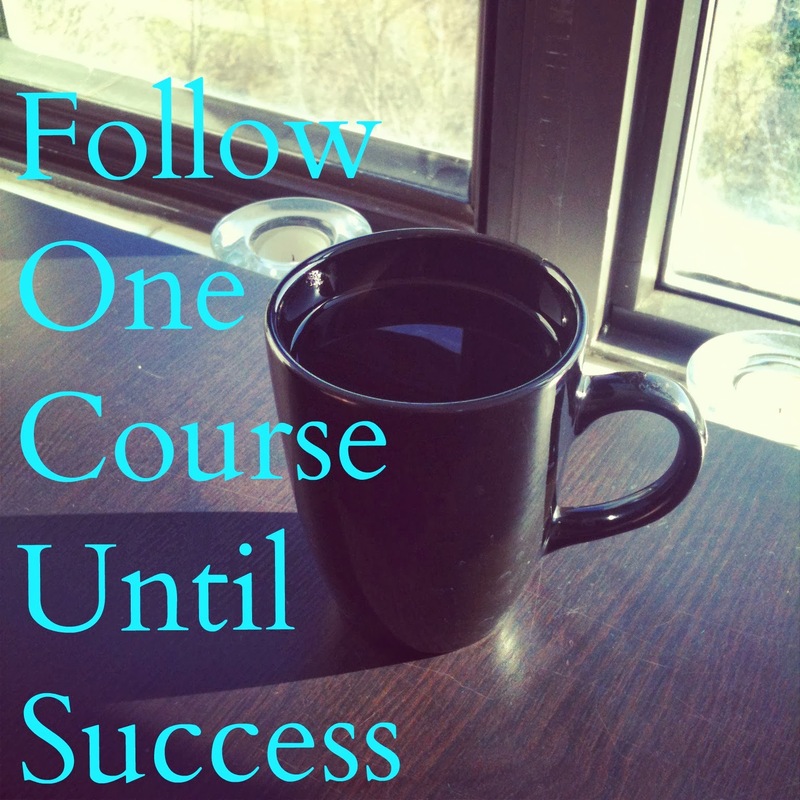 Follow One Course Until Success. But while looking through my own photos, with an eye to sharing a bit of wisdom, or inspiration, or even joy, a photo of a single cup of coffee on an empty table brought to mind the desire to pause and do one thing and one thing only for a moment. My lack of focus today is clearly on my mind more than I thought it was. Take your phone out many times a day and snap a photo of something around yourself. Don't worry about why. That will come later. One day you will need a photo of a lilac in bloom to explain a thought viusally. And you will have it.